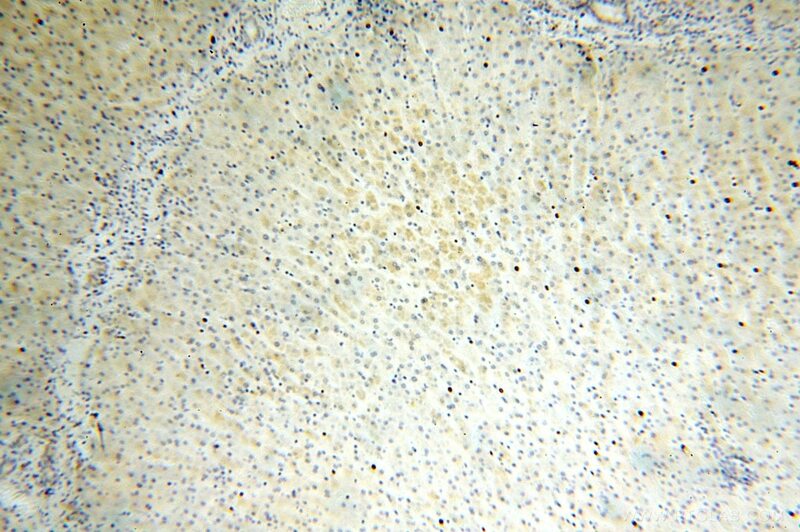 IP Result of anti-OGDHL (IP:17110-1-AP, 4ug; Detection:17110-1-AP 1:500) with mouse brain tissue lysate 4000ug. OGDHL(oxoglutarate dehydrogenase-like) is also named as KGDE1KL, FLJ10851, KIAA1290 and belongs to the alpha-ketoglutarate dehydrogenase family. 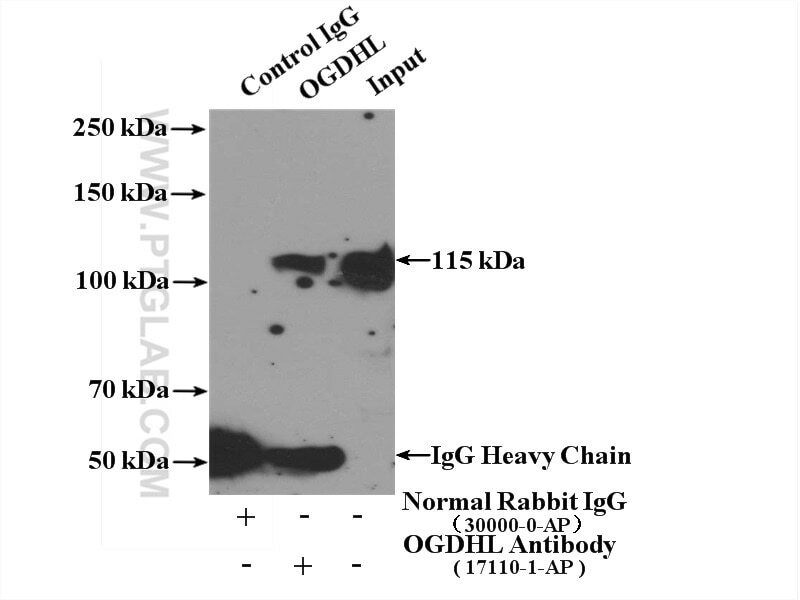 OGDHL is one of the rate-limiting component of the multienzyme OGDH complex (OGDHC) whose malfunction is associated with neuro-degeneration and it is localized only in the mitochondrial fraction and not in the cytosolic or nuclear fractions(PMID:23152800). 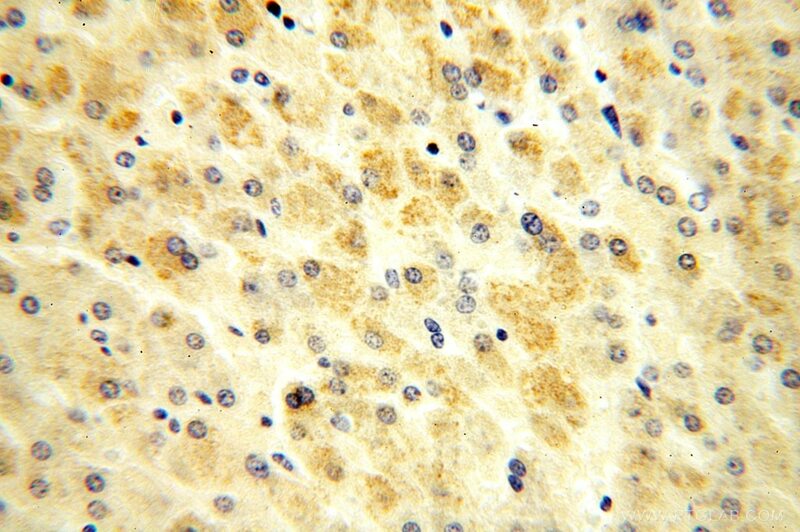 OGDHL negatively regulates cell proliferation by inducing apoptosis in cervical cancer cells. It may thus participate in brain-specific control of 2-oxoglutarate distribution between energy production and synthesis of the neurotransmitter glutamate(PMID:18783430). It has 3 isoforms(114 kDa, 108 kDa, 91 kDa) produced by alternative splicing. OGDHL is a modifier of AKT-dependent signaling and NF-κB function.